Former Minister of Petroleum Resources, Tam David-West, has said he can ‘bet his life’ on the integrity of President Muhammadu Buhari. According to the elder statesman, there is no comparison between the Kastina-born President and former Military President Ibrahim Babangida. 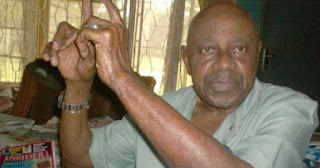 In an interview with Daily Trust, David-West said: “Buhari and Babangida are two different personalities. Buhari is a clean man. I can take any oath that Buhari is very clean and I won’t die. He also said, ”Another thing is that if Buhari tells you something, believe it is true. But if Babangida tells you something, don’t be too sure.